When I heard the council’s Chamber room was available as an art space, I reflected on artists who exhibit their art in imaginative ways from rooftops, to their homes, to warehouses. Taking the opportunity to show my work in a quiet country town hall would be a great chance to display my paintings but I knew it would be difficult to attract an audience. It was these possibilities and challenges posed by Corsham Council’s gallery space that inspired the idea of collaboration. Collaboration is at the heart of a successful exhibition and for this event to be a worthwhile endeavour it needed to be more than a collaboration between the council and myself. 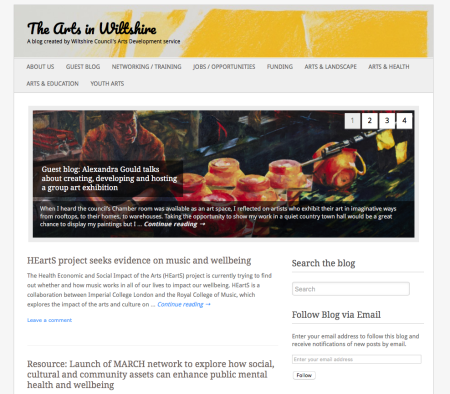 To inspire the Wiltshire community and give them a meaningful experience, this exhibition needed a group of artists that would share the challenge and bring their own individual perspective into the heart of Corsham. How a combined exhibition of artist’s perspectives becomes meaningful depends on the theme and I wanted to ensure the theme would span the whole community. After careful thought the title ‘Resonance’ presented itself. It embodied bigger questions about big issues. Meanwhile I was keen to embrace a combination of science and art in my own work, so I was drawn to the theme of pollution. As the data driven generation we need to discern and understand information before making changes. How does the news of pollution resonate with us? What is the impact? How do we make sense of the overwhelming knowledge of human pollution and what elements of this would we chose to communicate through art? The artists I chose to approach varied from those I had only fleetingly met to those whom I only discovered through chance conversation and the internet. One I knew intimately and another was a recommendation from a friend. Each artist had in one way or another been part of a good experience, and in gathering the people I chose to work closely with, I felt it was important to chose artists with integrity, talent and with very different voices and experiences to draw upon. They were also all individuals that I felt could work together, which is a vital element of any collaboration. Approaching all artists with the opportunity, I discovered they were interested. Rachel Reid the sculptor, Rachel Heard, expressionist painter and Katie Ackrill the art writer were all keen to hear more. Daniel Gould, film maker and Stuart Bruce a composer were also on board with creating work for ‘Resonance’ all in their own unique way, merging conversations with research to create original new works for the exhibition. Delighted with a 4-week exhibition slot and the private view set for 7th September, I was optimistic sponsorship could be secured. With costs planned for print, refreshments and hire charges I began the sponsorship proposal. Despite preparing a persuasive sponsorship deal I hadn’t foreseen the difficulty getting art sponsorship. It was over five months before the exhibition and the imminent start of a new financial year. I was confident of a deal in exchange for print publicity, social and online branding and invites for the private view. The sponsorship of an art exhibition by a private company is intrinsically bound up with the theme and so a sponsor should be aligned with similar values. This may be community goodwill that benefits the company image or specific aims that match the wider goal of the exhibition. But the integrity of the sponsorship deal is an important match. After the first rejection, I sought advice and included an additional feature. The value of sponsorship would be deductable from any future commissions with a contributing artist. Our proposal was declined again and later three more organisations followed suit. A lack of funding or a mismatch of criteria, were the standard responses. Without the backing of an appropriate sponsor we decided to maintain our integrity and self-fund the exhibition. National funding is available for ‘formal’ art groups or charities and some of the companies we approached have initiated such schemes. However by formalising the group (which involves bank accounts, signatories, etc) it loses it’s collaborative spontaneity. So committed to the one off ‘Resonance’ art exhibition, all artists agreed to fund the project and make savings where possible. This rallying around was actually a great benefit. In this exhibition, working together meant working towards a common goal and committing to creating great work for the event. We each found a resonance in different aspects of pollution and our work already distinct, found its own form. Unsurprisingly the collaboration came from the discussions of ideas not the execution of each artwork. While Rachel Reid looked to sculpting with plastics, Rachel Heard was inspired by natural phenomenon. Daniel Gould’s work centred on the personal urban experience and Stuart Bruce was drawn to sound landscapes, contrasting harmony with the discordant. I was drawn to the scientific research specifically of our least known ecosystems on the planet – the deep sea. The balance of artists administrating their own art and my coordination of the exhibition meant artists could still work independently and remotely towards the common goal. There were many challenges as we aimed to keep costs to a minimum and still offer the viewer a full experience of the work, explaining our processes and inspirations. I concluded that there are many different skills required to create an art exhibition not least of which was flexibility. Katie Ackrill was writing the essay, and I collated artists bio’s and descriptions of artworks, wrote press releases and designed print. Maintaining regular communication helped me assess where my schedule was being met and when it was appropriate to let things slide. The challenge of creating an exhibition is in maintaining momentum and meeting those deadlines for press releases and listings, invites and email reminders. The private view was be the culmination of months of work and challenges – all worthwhile, all invaluable experiences and very rewarding. It was the in part the energy the capsule exhibition generated that made the event so memorable and the sheer volume of people that arrived to support the artists. Everywhere I turned I heard in depth conversations about the artwork and very significantly about pollution. The exhibition audience were discussing the issues that they found disturbing or shocking, they were relating the artwork to their own experiences. Every artist that took part in this event is responsible for delivering a truly meaningful, memorable and interesting art exhibition to Corsham and the wider Wiltshire community. Since the launch, the council have reported a steady stream of visitors to the exhibition. There have been outreach art workshops organised and delivered by Rachel Heard with local primary schools and the work has inspired the local community to discuss hosting talks with a prominent Marine Ecologist. I hope you will get a chance to visit the exhibition during the last week of “Resonance” at Corsham Council’s Chamber, High Street, Corsham SN13 0EZ. We’re there until 4 October. Resonance is a collaborative, group exhibition by two painters, a sculptor, a filmmaker and a musician. Each one explores the changing environment of the planet and explores the concept of pollution.